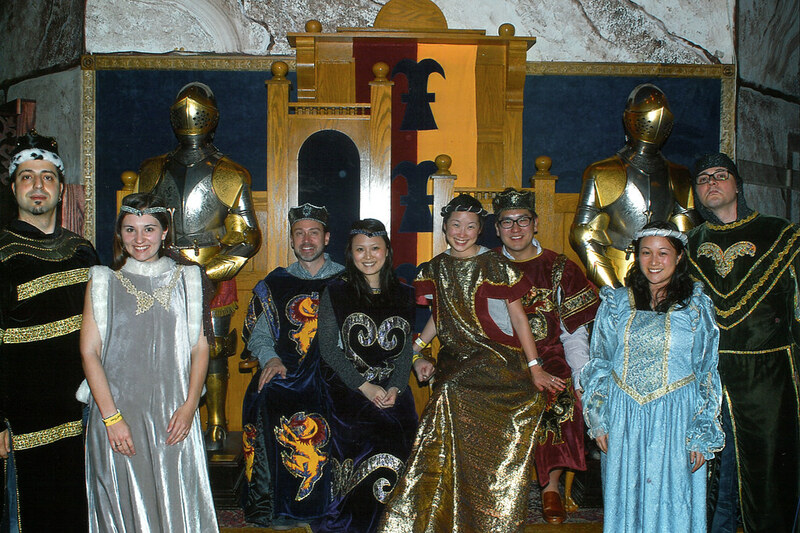 Months ago Jessica was astounded to learn that I had never been to Medieval Times, the knight-themed dinner and tournament show located throughout the United States. There wasn't a Medieval Times where I grew up, and I hadn't attended one at their other twelve locations. A deal popped up on Living Social, so we took the 20 minute bus ride to Lyndhurst, New Jersey for a Sunday afternoon show. Several friends jumped at the chance to also attend, so we made a day of it. I didn't know much about Medieval Times except for what I had seen in the movie Cable Guy. The reality is not much different. The knights of King Don Carlo are gathered for a tournament to death for the King's amusement. The knights battle on horseback and on the ground with jousts, swords, maces, spears and bare fists. Once all but one of the knights are dead, an intruder enters the realm and threatens the Kingdom, only to be swiftly defeated by the only remaining living knight. The flaw in King Don Carlo's strategy should be apparent. All of this happens in front of a blood-thirsty crowd, cheering for the demise of the knights from competing sections, while eating roast meat and Pepsi with their bare hands. The merchandising opportunities are obvious, and no kid leaves empty-handed while no parent leaves full-walleted. Violence aside, the show was good fun and the food was better than expected. I'm glad I went, but I will decline to join their loyalty program.